In October 2012, the New Zealand Herald downsized from broadsheet to tabloid – the first time it’s changed in 150 years. 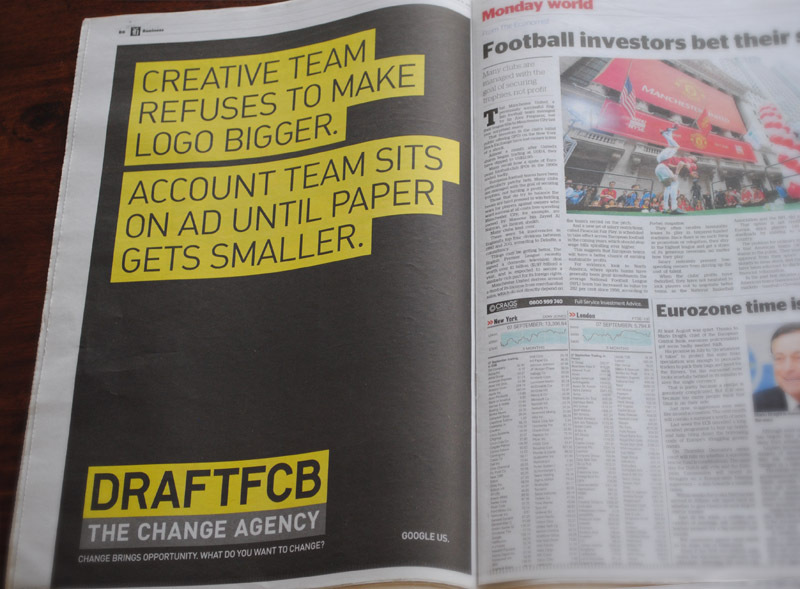 To mark the momentous occasion, The Change Agency (DraftFCB) ran this ad. 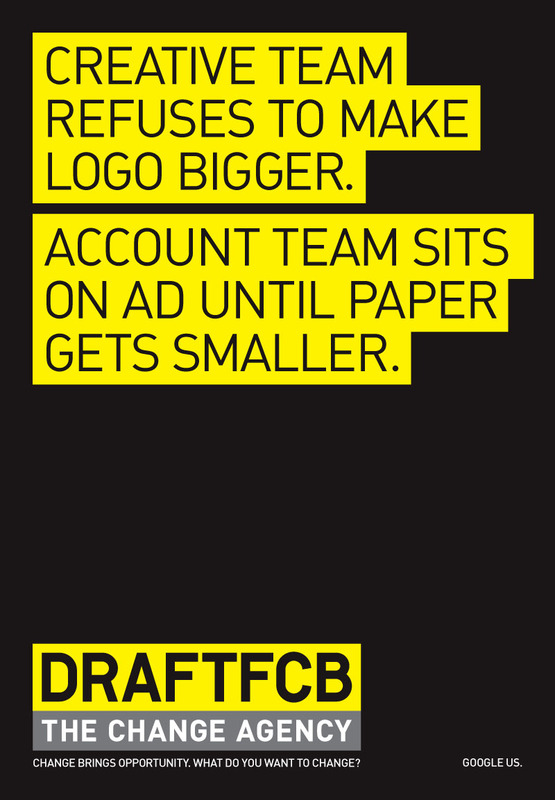 When an Art Director writes an ad that gets laughs from the entire agency, he obliged to put it in his book. Even if he’s not happy with the size of the logo.